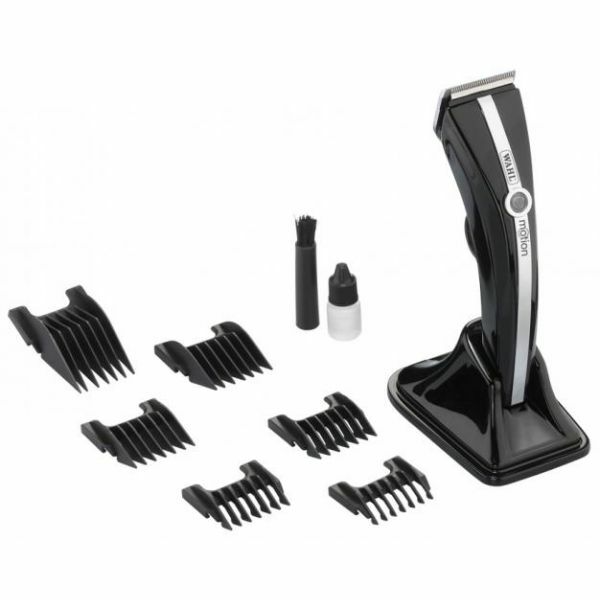 The newest additions to the Wahl Academy collection, the Motion clipper, will revolutionise the way you cut hair. Featuring a detachable scissor handle that allows you to relax your grip and angle the clipper in different ways for a more fluid movement and improved cutting style. 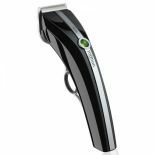 This clipper benefits from innovative lithium ion technology, providing a 90 minute run time from a super quick 45 minute charge time. The handy LED indicator lets you know battery levels and charging status. Rust resistant, high precision chrome plated blades with a variable taper adjustment from 0.7-3mm. Features quick release snap on/off blades for easy cleaning and maintainence. Extremely lightweight, weighing just 250g!